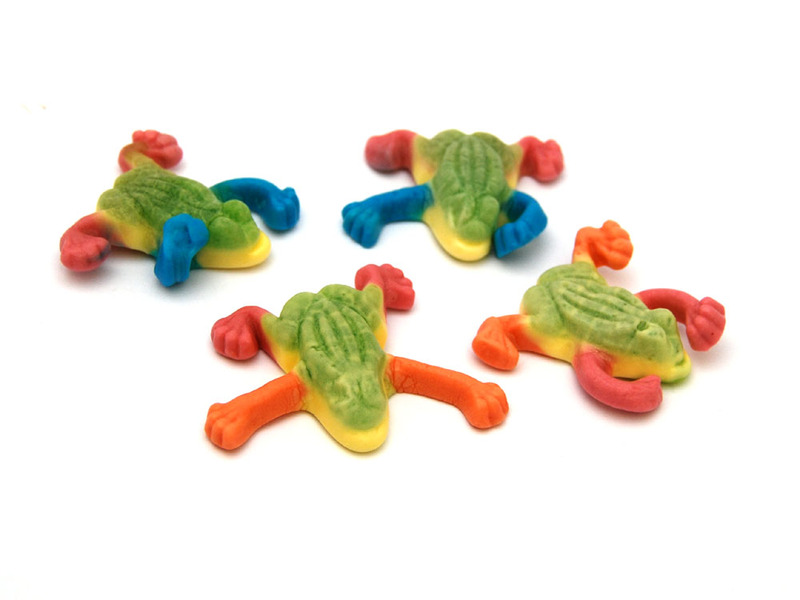 These juicy jelly frogs are absolutely delicious. Great for Halloween and wizard themed parties. 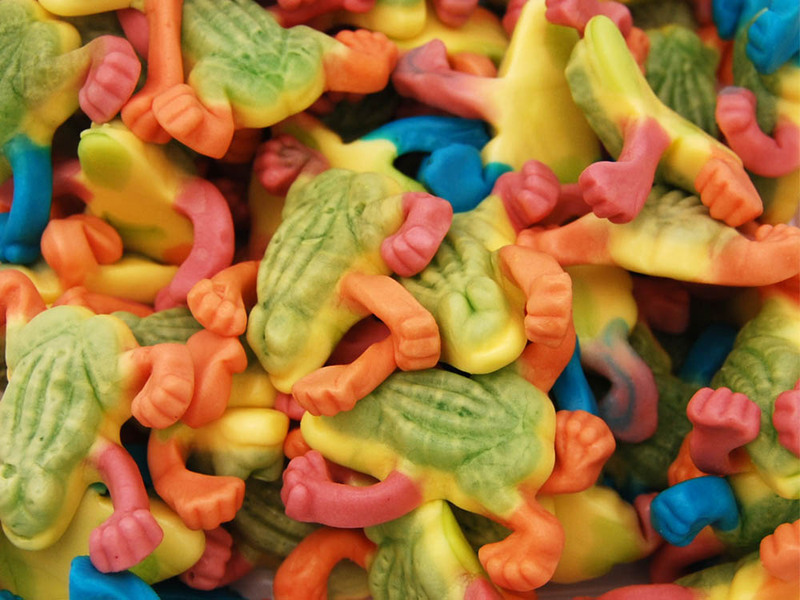 These multicoloured frogs are about 4cm long and look as good as they taste. Glucose Syrup, Sugar, Water, Gelatine, Citric Acid, Humectant (Sorbitols), Fruit and Vegetable Concentrate (Radish, Carot, Blackcurrant), Modified Potato Starch, Invert Sugar Syrup, Gelling Agent (Pectins), Acidity Regluator (Sodium Citrates), Colours (E120, E133, E100), Flavouring, Glazing Agents (Carnauba Wax, Beeswax). Allergen Advice: Highlighted Bold in Ingredients list. May contain traces of Nuts.